Ida Victoria Gustavson’s story of how she became one of the most important gallerists in San José del Cabo is the stuff of dreams. Yes, she was gutsy enough to make hers come true. 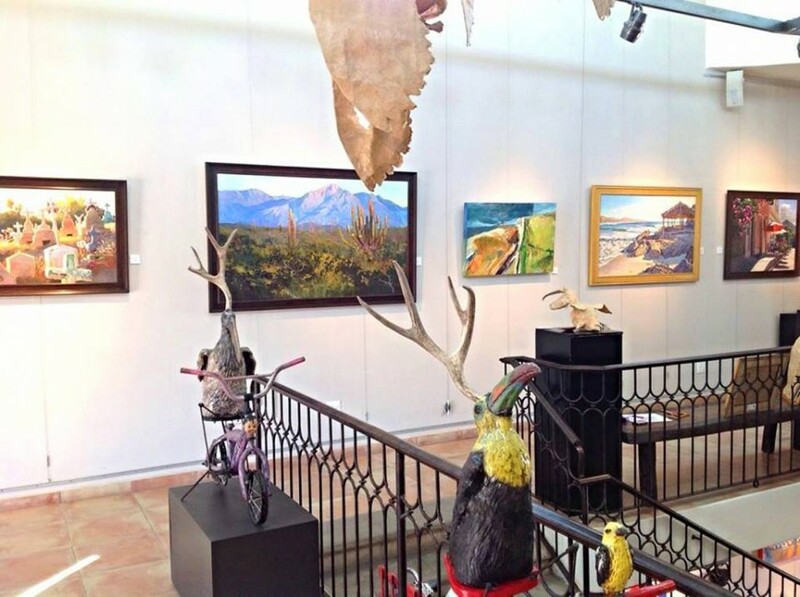 Here, she shares how Galeria de Ida Victoria came about, how an art lover can best enjoy Los Cabos, the best places to eat in town. When and why did you open Galeria de Ida Victoria? 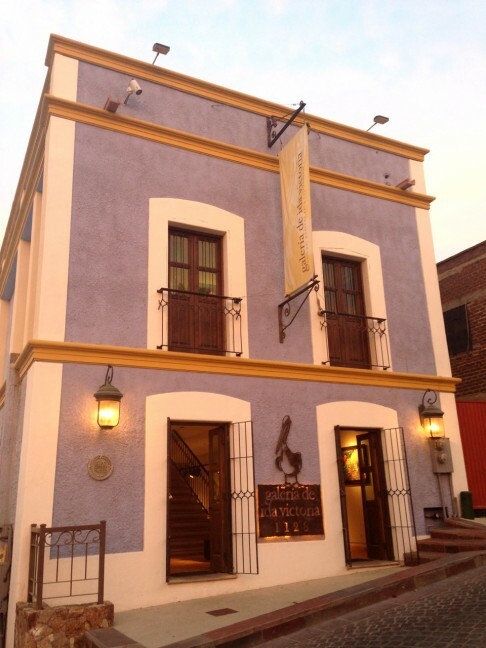 Galeria de Ida Victoria opened its doors officially in April of 2004. About a year and a half before that, I came down to visit my parents who were building a home here, and of course as everyone does, I totally fell in love with Los Cabos. At the time, I was living in a tiny studio apartment in New York City working as a freelance illustrator and graphic designer. Stepping off the plane and seeing the desert dump into the turquoise waters of the Sea of Cortez took my breath away. The color and light here were just fabulous! As an artist it was so inspirational, not only the landscape, but the Mexican culture, the food, the artisans, and the laid-back lifestyle all called to me. The idea of never having to wear pantyhose ever again was a major plus for making the move! Also, there were a few galleries in town, but nothing that I would like my own work hanging in. And with the overwhelming growth of the area, I saw a need of high quality original art and custom picture framing for all the high-end homes that were being built down here. So with the support of my parents and my then-boyfriend, now-husband Pete, we made the decision to leave New York and start an adventure here, building our home behind the gallery first and living there while Galeria de Ida Victoria was under construction. Is there a style that you’re most drawn to? I am asked this question a lot. And once you step into my gallery you will see that the short answer is no. I love it all! I am a realist watercolor artist, meaning I strive for tight photo realism in my own work (or as close as you can get in watercolor) but the range of art in my gallery is a testimony to the fact that I love it all- realism, abstract, playful, whimsical. I guess in all the work if there was a thread that runs through and connects them all, it is color. I love color!! I own nothing beige, and there is nothing beige in my gallery. Mexico is the most colorful place I have ever been and this country is not afraid to use it! I always joke that this is the only place in the world where I could have a two-story periwinkle-and-mustard colored building and it still be considered classy. What kind of artists do you represent and how do you choose them? 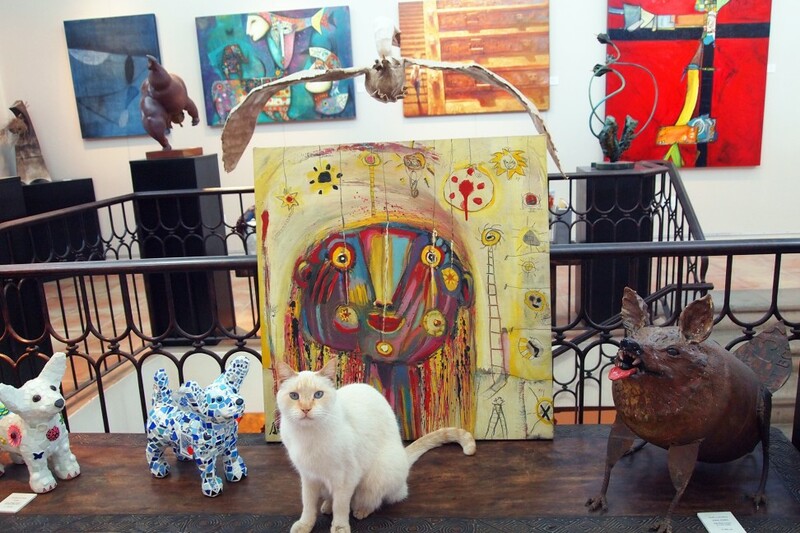 As I mentioned, the gallery is an eclectic collection of artists. We have over 25 artists on the roster hailing from the U.S., Canada, Mexico, sometimes Europe, and South America and a few local artists. The range is huge! We have works, both paintings in oil and acrylics as well as sculpture, with styles and techniques ranging from hyper realism, landscapes, abstracts to stylized primitive pieces and tongue in cheek works, collages, mosaic art, found object mixed media pieces, papier-mâché hanging mobiles, encaustics and glass art. The one point that I am a total stickler about, is that the works have to be technically well-done. If something looks off to my eye or shoddy in any way, it’s not staying here. At this point we have so many great artists, that something would really have to blow my socks off and be completely unique and different to be accepted into the gallery. We have a huge space, 2.5 levels, but it’s not big enough! I could put 2 more floors on my building and fill it. 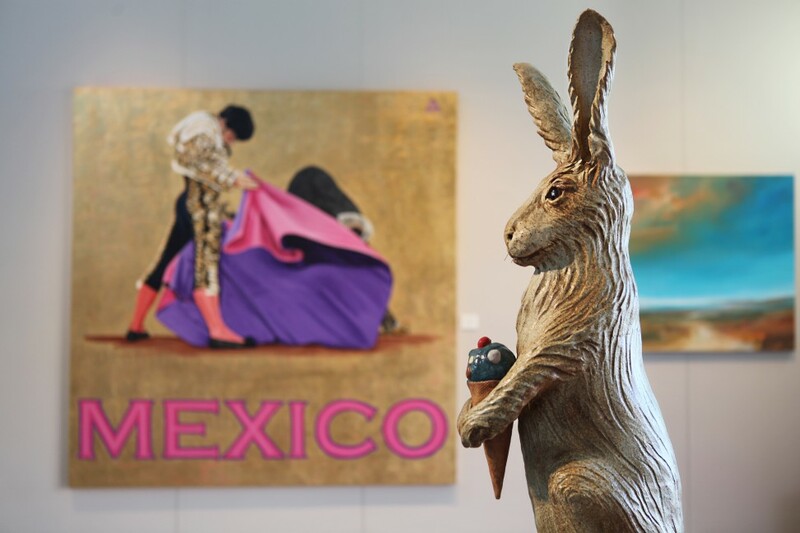 What’s the best way to enjoy Cabo’s art walk? If I was going to play tourist and do Art Walk, I would begin in the main square as the sun is setting behind the church and enjoy a margarita at one of the outdoor dining spots with seating right in the square. Downtown Pub is my favorite and they have a killer cucumber jalapeño margarita. The Art Walk officially begins at 5pm, so by then I would leave the square and head up into the Gallery District which you can enter through the street just right of the Church. Obregon Street is the main drag of the Gallery District. Quickly you will spot galleries and in any of the official galleries of the District you can pick up a booklet that has info on the participating members, a map of our locations and some of our favorite restaurants that we recommend. From here, it is just taking your time and walking in and out of the spaces. 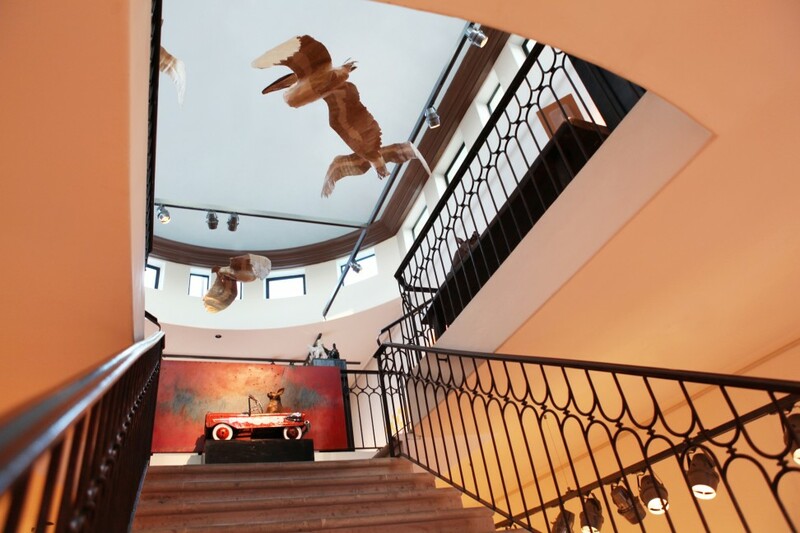 The collective roster of artists is in the hundreds, each gallery is truly unique. Many of the galleries serve a taster of wine or tequila, so enjoy the art and the spaces and ask the gallerists questions. Many are artists themselves, and if not, there’s always a story behind a piece of art or a wacky tale about the artist that catches your eye. For dinner, there is no need to leave the District, we have great restaurants. I would recommend H Restaurant, La Lupita Tacos, La Osteria, or Barrio Burger. After dinner, if it’s before 9pm, keep going to the galleries. We are open until then and some even later, so if there is time, be sure to hit the galleries you missed earlier. I would finish up the night at La Osteria or one of the other places in the neighborhood that play live music. You’ll hear them start to crank it up at 9pm. Thursday evening is definitely the best night in town! Enjoy! But just know all the galleries are open all week long, except for Sunday, if your travels do not permit an Art Walk night. Can you share three of your favorite local places in Cabo? 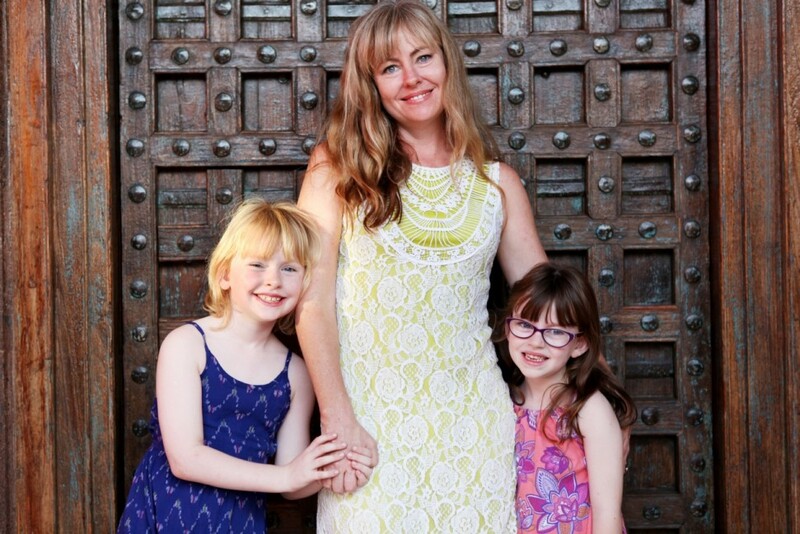 People ask me for recommendations for a quiet romantic dinner locale all the time…I tell them that I have a 6 and an 8-year-old, so I have no idea where to go for such a dinner, but if you need a killer taco joint I’m your girl! Our favorite taco places, which I never get tired of are, Tacos de Mexico and Guacamayas. El Toro Guerro is a total local spot too that serves fresh giant servings of seafood under a palapa and always filled with locals. Other favorite spots to eat are Habaneros and for a change of pace if you happen to be craving Greek while in Cabo is El Grill. The choices for great food in a casual atmosphere in San Jose del Cabo are endless, and of course fine dining is available too, I just never get to! Haha! But if I did, Don Sanchez would be my choice. Sorry that’s way more than 3! And I can’t help myself…if you are looking for jewelry that is unique and not the cookie cutter designs you see in every jewelry shop along the main drags of San Jose and San Lucas, look for Amber Gallery, Ron Sanford’s handmade pieces created using Amber from Chiapas, the fine art jewelry pieces by Eduardo Sanchez and Sax Jewelry, a local designer named Susana who is super creative with her pieces. These are the places I go when I need a gift for a girlfriend. 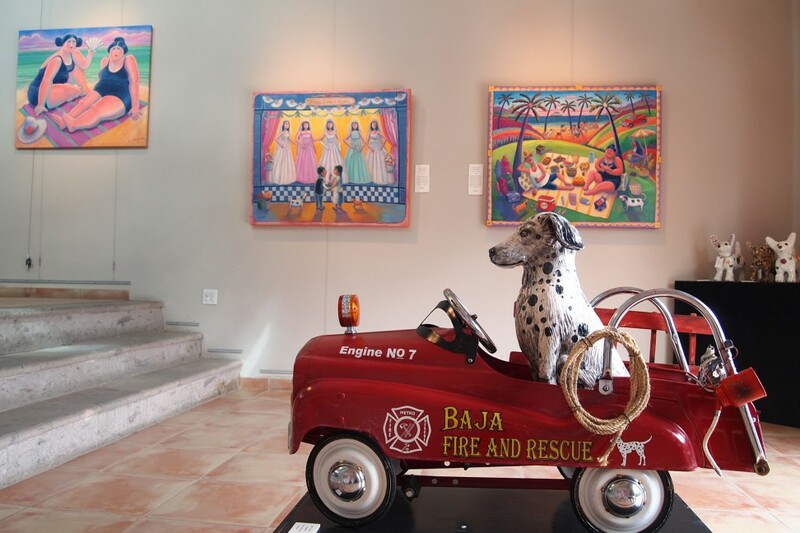 As a creative person, do you have any tips about how an art lover can enjoy Cabo? Well, definitely take your time enjoying the Gallery District, on a Thursday or for a quieter experience any day of the week. 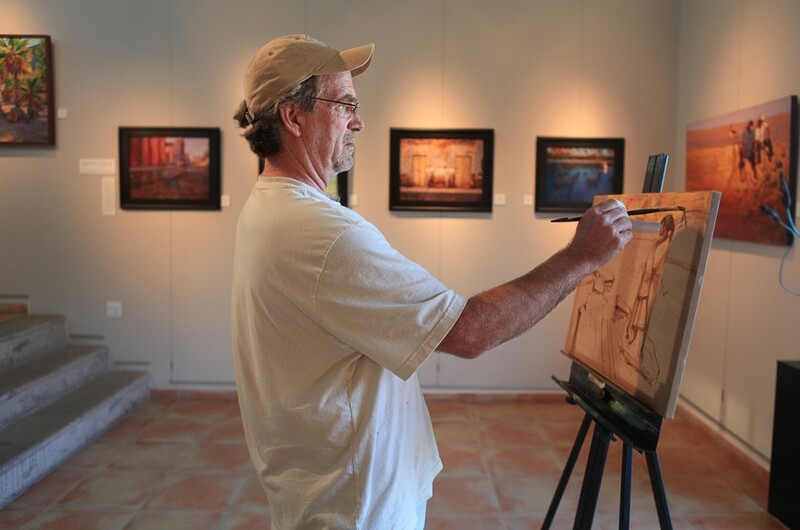 There are also options to take art workshops while in Cabo as well. Really one of my favorite art forms in Mexico is the folk art you can find in many shops. The handmade detailed, colorful pieces ranging from ceramic Calaveras dressed in fine clothing called Catrinas, to the intricate hand painted wooden animal figures called Alebrijes and everything in between. A strong part of the Mexican culture is this form of popular art. As an art lover, I enjoy and never get tired of finding these unique pieces. Other than that, a trip to Todos Santos is fun, and bring your camera along wherever you go, there is so much inspiration all around for artists and just lovers of color and Mexican culture. Do you have any exciting events coming up at the gallery that you can share with us? During the season we stay super busy in the gallery! We do opening events of new exhibitions about every 4 weeks, and we do lectures, small intimate events for artists, demos, music concerts and weekend long workshops. We don’t take a break around here, trying to keep the interest up and the creative juices flowing! But as of now, going into low season there is nothing planned, but if you want to keep up on all gallery events, news and announcements, contact us and we will make sure you are on our list! We are here and always available to chat and we love talking about the works we have and all of our artists…I have stories. But beginning again in October we will be rock n’ rolling once again.